My man, who is a self-admitted sugar addict, committed to being absolutely sugar-free for the next 30 days. If you ever met him, you know that if it has sugar, he already loves it by default. I am not joking! He could pump sugar into his veins all day long and swear that it does not hurt him (but we all know the truth ;)), while I could take a bite of a sugary dessert and have a headache in a matter of minutes. I am not joking about this either. In fact, my college roommate used to tease me that I could eat steak for breakfast. And, while I never had steak, for breakfast or dinner, she was right in the sense that I tend to reach for the salt shaker, rather than a cube of sugar. My perfect breakfast is: soups, salads, sandwiches, grains, and anything that’s salty and savory. Salt to me (in a healthy measure) is what sugar is to Hubby (in not a so healthy measure). However, I do like an occasional treat that won’t give me a headache, especially if it comes in a shade of dark chocolate. 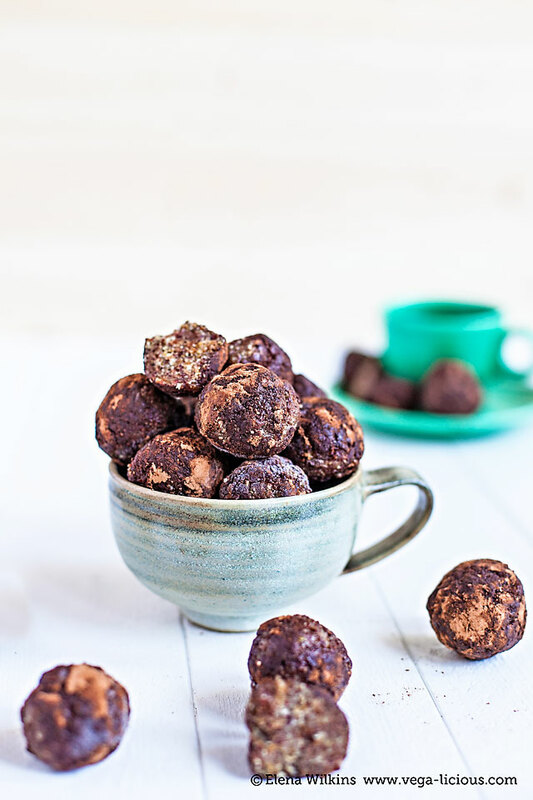 So, between Hubby giving up sugar and me wanting my occasional, headache-free dessert, I came up with the perfect solution–making a dessert that is processed sugar free, and that’s just the perfect shade of dark chocolate! 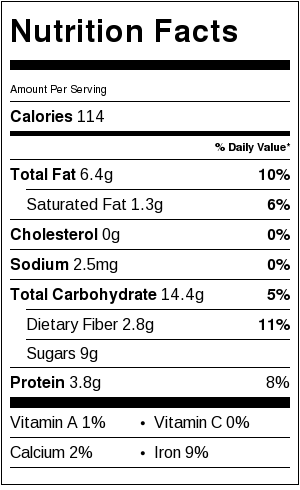 And, of course, it is not only healthy, it is SO GOOD FOR YOU, YOU GOTTA EAT IT! Like…for real! 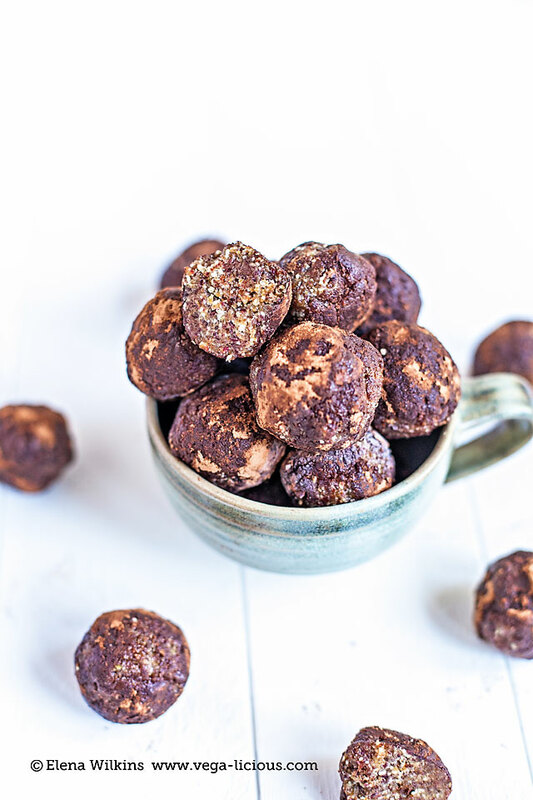 Meet my perfect, sugarless, but oh so sweet, dark chocolate, good for your bod, friend–Energy Truffles! 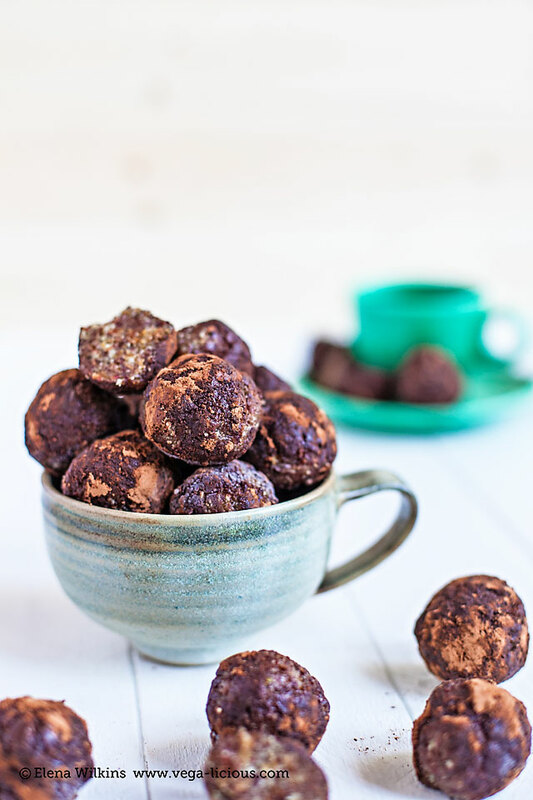 I handpicked every single ingredient on purpose–there are no accidental ingredients in these truffles! 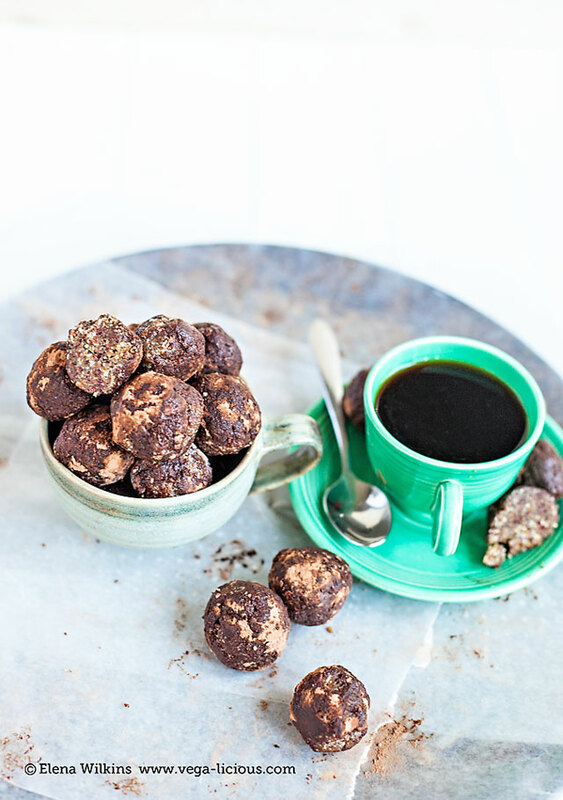 Nuts for those smart-brain promoting, healthy fats. Pumpkin seeds for their amazing mineral content: manganese, phosphorus, magnesium, copper, zinc, and iron. Cranberries for tart, tangy flavor to balance the sweetness of dates. Apricots for their antioxidant content, and their amazing and unique ability to encourage good elimination. And, of course, cacao, for pure pleasure. Combine all seven of these together and you have pure magic. 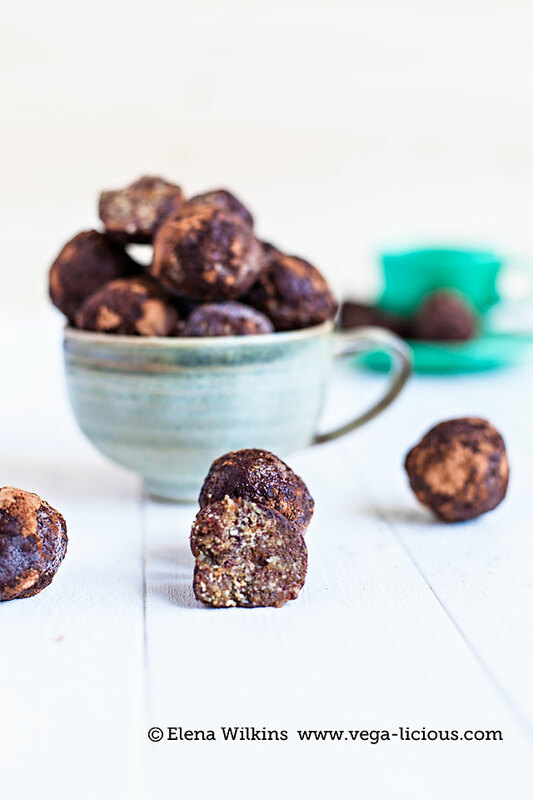 Magic so boundless that it crosses age and gender barriers–girls and boys (big and small), kids and adults alike LOVE these super-healthy, super-good-for-you, anyone-can-eat-’em (vegans, omnivores, and even Paleo lovers) truffles. I made a batch on Sunday. By Monday evening we had less than 1/4 of the batch left. Hubby, myself, Sprout, my sister and her seven year old daughter just couldn’t get enough. 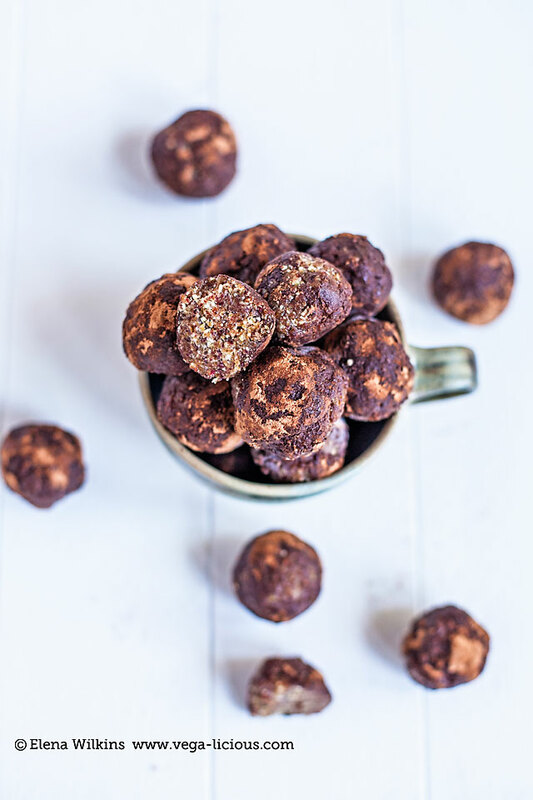 The truffles are perfect not only as a treat, but also as a on-the-go meal, especially if you are in a pinch for time. 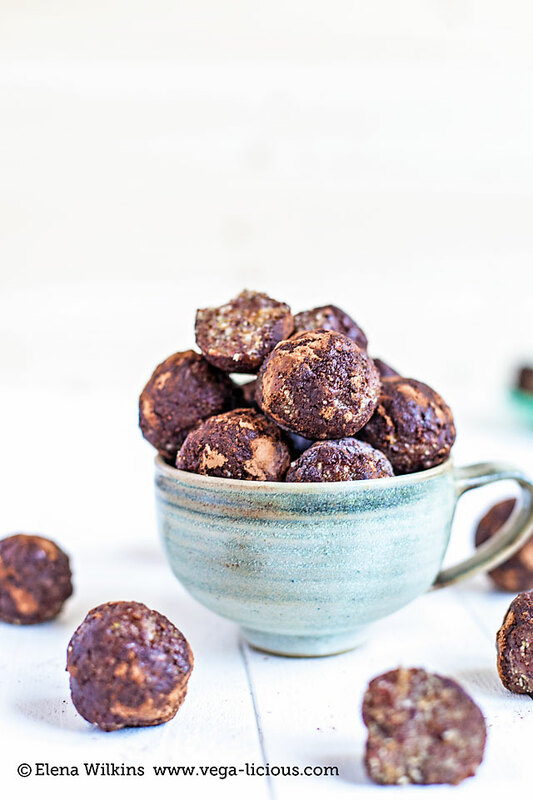 Check out the nutrition facts for this recipe at the bottom of the post to see for yourself–it’s a meal and a treat in one! And your equally easy, shareable and printable recipe. Heavenly bites of perfect health and indulgence. You never have to feel guilty about having your dessert ever again! Make ’em. Love ’em. Share ’em! Now there is no excuse for you not to quit sugar, if you are a sugar addict like someone I know ;). 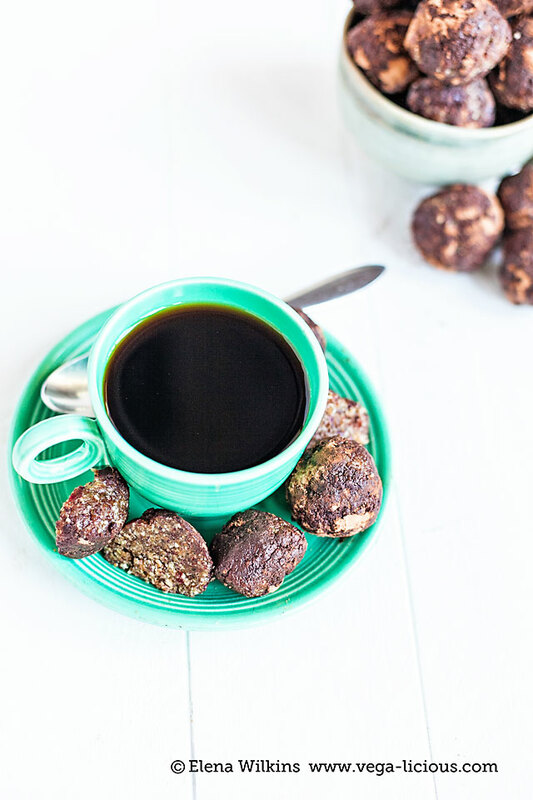 Have ideas or requests for more health promoting, plant based (vegan that is) recipes? Leave a comment, and I will see if I can make magic happen!